The Salon Owners Summit has become one of the most talked about events in the hair and beauty industry in Europe as well as further afield. 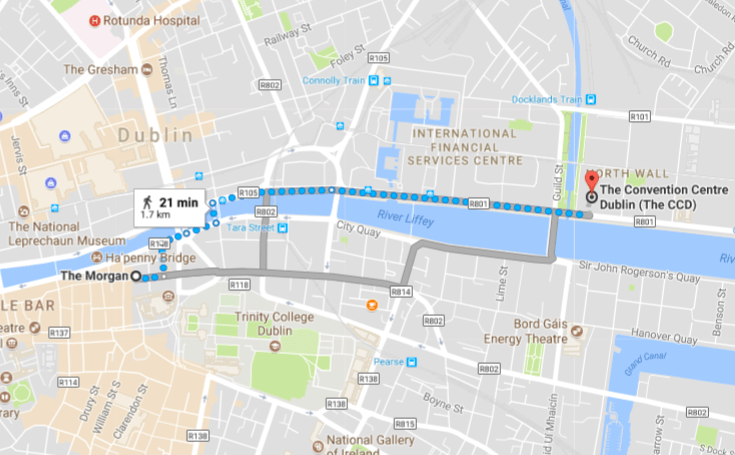 For many, attending the event also implies travelling to Dublin, booking activities to explore the city and finding accommodation. We thought it would be useful for you to find out what our top 12 Dublin hotels were… As they say, always trust a local! 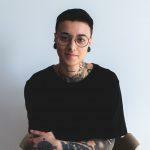 Haven’t heard about the Salon Owners Summit, or want to get tickets? Request more information here. Coming to Dublin for a couple of nights? Fantastic! Dublin is a great city with lots of exciting things to offer. Additionally, we will be hosting some city tours & activities as a fabulous pre-party on Sunday, January 7th, 2018 (the day before the Salon Owners Summit)! For now, here are some of the top Dublin hotels – in no particular order – we recommend you stay in for the occasion. 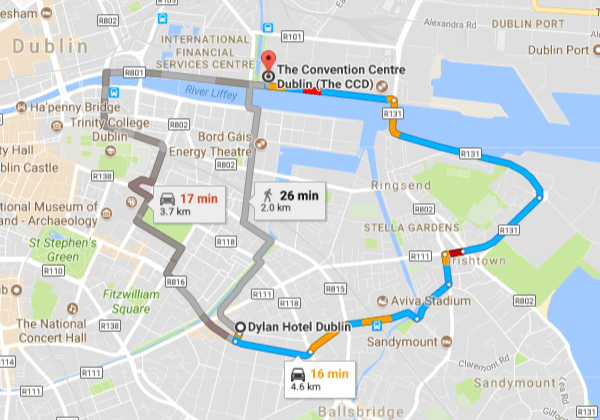 Of course, we’ve also kept in mind that this year’s event takes place at the Convention Centre, a 15-20 -minute taxi drive away from Dublin Airport. 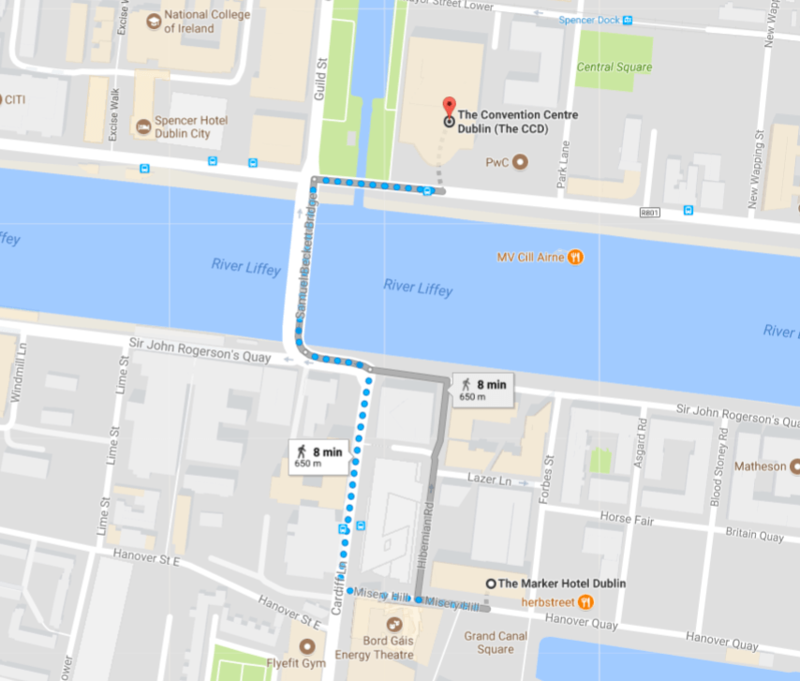 The Dylan Hotel is a 5-star hotel located very close from Grand Canal, which makes it an about 25-min walk or 15-min taxi drive to the Convention Centre Dublin. It mixes traditional and contemporary furniture and the rooms include free Wi-FI, desk and laptops safe, etc. Main amenities: Free Wi-Fi, Free Breakfast, Room Service, Kid-friendly, Bar, Smoke-free. Quite chic, the Westin Dublin breathes contemporary and elegance, making it one of Dublin’s popular 5-star hotels right in the city centre (opposite Trinity College). 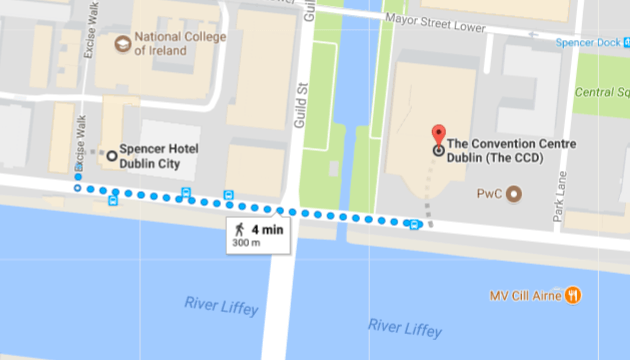 Also, on foot, this hotel is located about 20 minutes away from the Convention Centre Dublin. Main amenities: Restaurant, Cocktail bar, Refined atrium lounge, Gym open 24/7, valet parking (fee), WiFi (fee). The Shelbourne Hotel overlooks St. Stephen’s Green and is impossible to miss set in its grand 1842 Victorian building. Think classical styling and marble bathrooms if you’re looking into this 5-star hotel. Main amenities: Free Wi-Fi, Laundry Service, Room Service, Kid-friendly, Restaurant, Hot tub. You will need to contact the hotel directly to get rates and availabilities. It’s an understatement to say that the Marker Hotel stands out with its “ultra-modern checkerboard facade”. 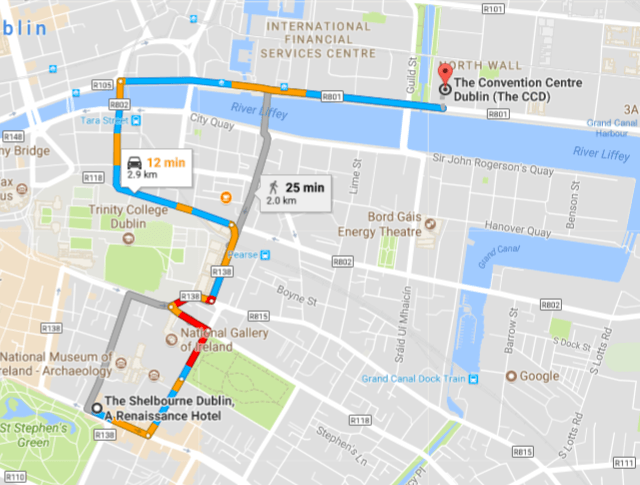 Situated in the heart of Dublin’s business and cultural centre, you’ll have no trouble making your way to the Salon Owners Summit – it’s literally an 8-minute walk to the Convention Centre Dublin. Main amenities: Free Wi-Fi, Laundry service, Restaurant, Hot tub, Rooftop Bar, Fitness centre, Spa treatment rooms, Lounge. Extremely close to the Salon Owners Summit venue, the Spencer Hotel in on of Dublin hotels perfectly located for both business and leisure. The staff is friendly, the building overlooks the Grand Canal and the rooms feature chic accents without having to pay the full price. Also, upgraded suites offer privates balconies – what’s not to like? Main amenities: Free Wi-Fi, Laundry service, Restaurant, Hot tub, Spa, Fitness centre. 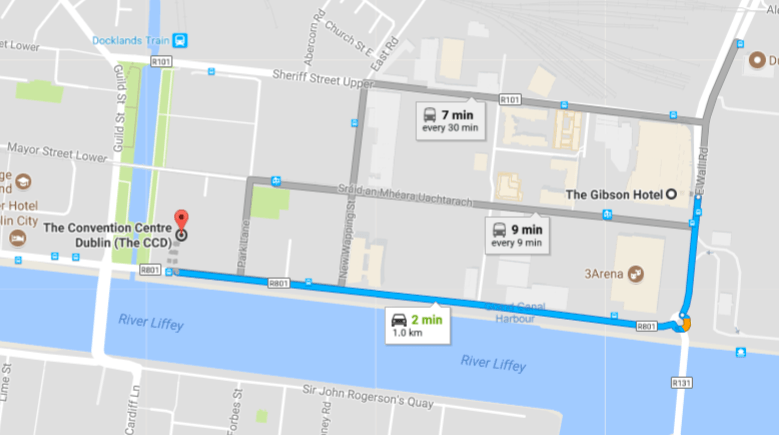 Just a 15-minute walk away from the Convention Centre Dublin and popular sights is the 4-star Gibson Hotel. 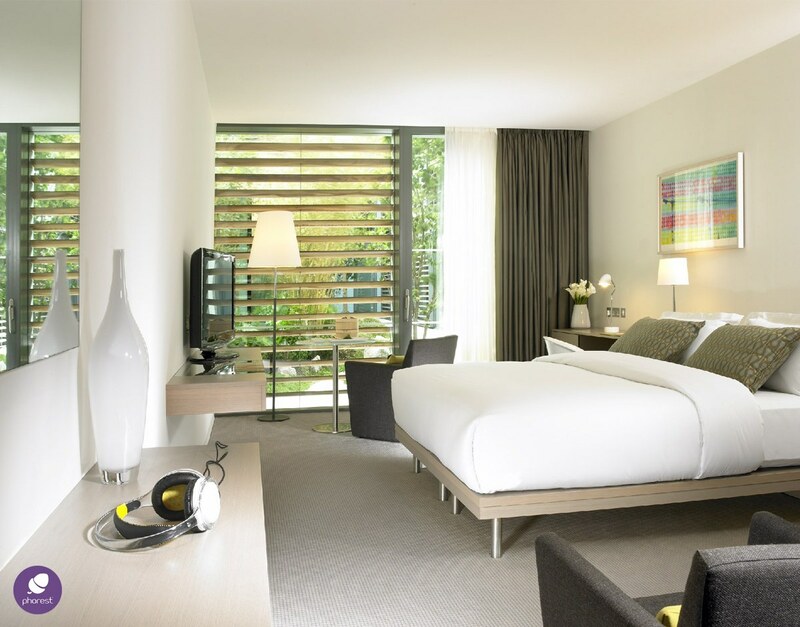 Expect hip and contemporary rooms from this hotel… oh, and a rooftop terrace with panoramic views across Dublin Port! Main amenities: Free Wi-Fi, Laundry service, Room service, Restaurant, Spa, Fitness centre, Bar, Meeting space. If you like the city bustle and being close to bars and restaurants, then you might enjoy a stay at the 4-star Morgan Hotel. It is located just minutes away from the Old Jameson Distillery and features and minimalist, yet chic style. At night, you can pop down to either their stylish restaurant, cocktail bar or courtyard. Main amenities: Free Wi-Fi, Laundry service, Room service, Restaurant, Bar, Gym, Indoor pool, Steam room, Sauna. Request a callback now and secure your tickets to one of the most talked about events in the salon industry! However, be fast! There are only a limited number of tickets left! This event is exclusive to Phorest Clients only. However, if you are looking to take your salon to the next level, then why not request a free quote or demo of our software today, and join the list of esteemed guests for The Salon Owners Summit 2018!